There are a lot of activities that are undertaken over the course of the year, primarily by SCA’s main consultant, Lukas Manomaitis. 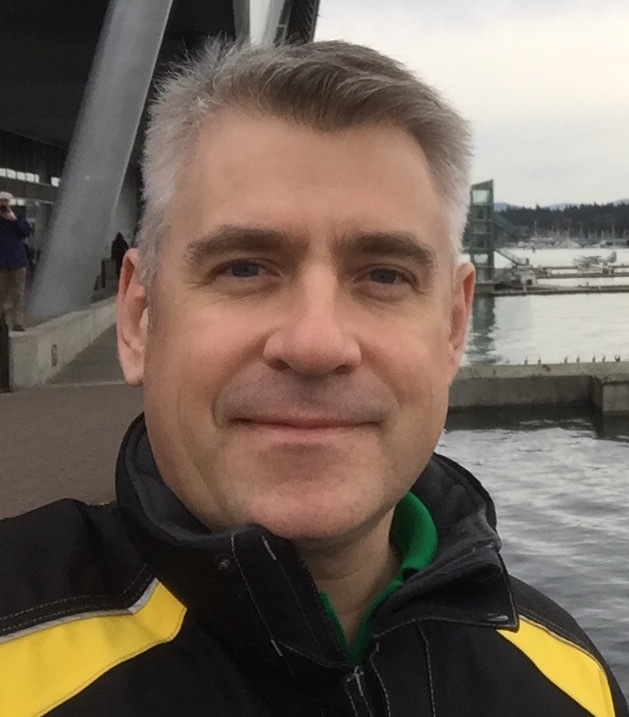 Some clients prefer to maintain confidentiality, but for SCA’s primary client, USSEC, the program activities are essentially all open and public. Therefore most of the following are from USSEC-related events. Both upcoming events are listed at the top and prior events (oldest at bottom, starting from the updated website launch date). 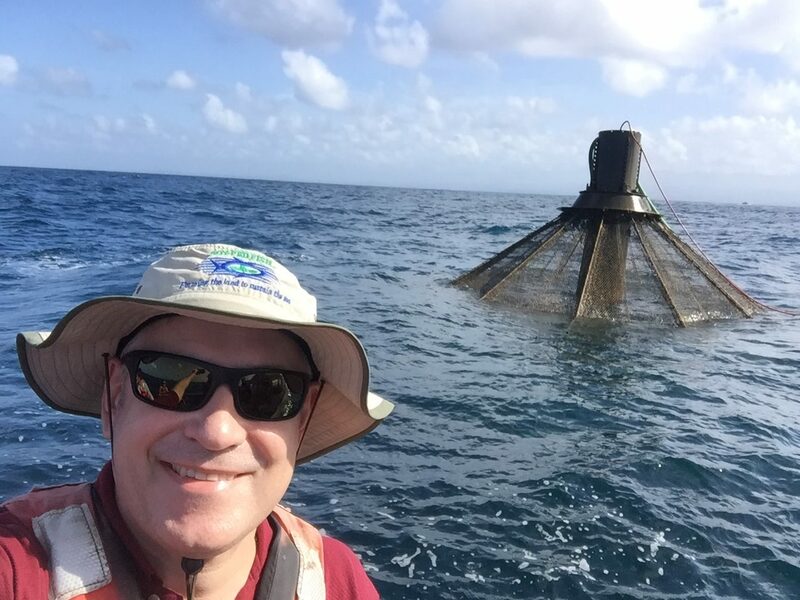 December 2018: Travel in SEA to assess the current status of the USSEC SEA Aquaculture Program and to work with key stakeholders on targeted ingredient issues. 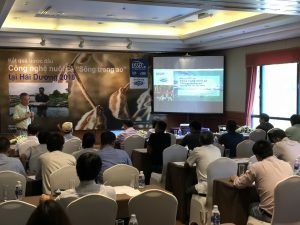 November 2018: Attend the DSM Aquaculture Conference Asia Pacific 2018 in Thailand. November 2018: Working with other international SCA clients. This month has primarily been devoted to making some key changes to SCA’s work plan and relationship with key current and potential clients. 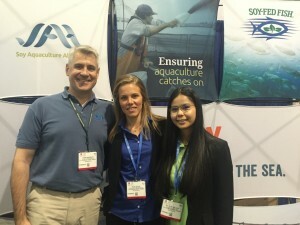 October 2018: Travel to the USA to participate in the Global Aquaculture Meeting in Denver. Visit to the University of Miami’s marine hatchery program. 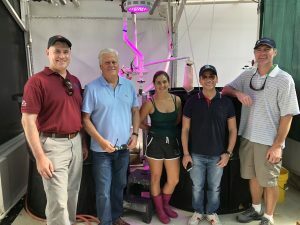 I traveled to the USA for a key USSEC Global Aquaculture Team meeting in Denver and then took the opportunity to travel to Miami to meet with Dr.Dan Benetti to discuss whether there might be any opportunities to collaborate together to help the SEA marine fish hatchery industry to dramatically expand and improve. October 2018: First IPRS seminar in Thailand, IPRS Farmers Field Day in Vietnam and Filming of IPRS technology with the Global Aquaculture Alliance (GAA). October saw a further focus on IPRS technology with the first formal expansion of the program in SEA from Vietnam to Thailand, with visits to local stakeholders interested in the technology and the first IPRS seminar (held at the Asian Institute of Technology). 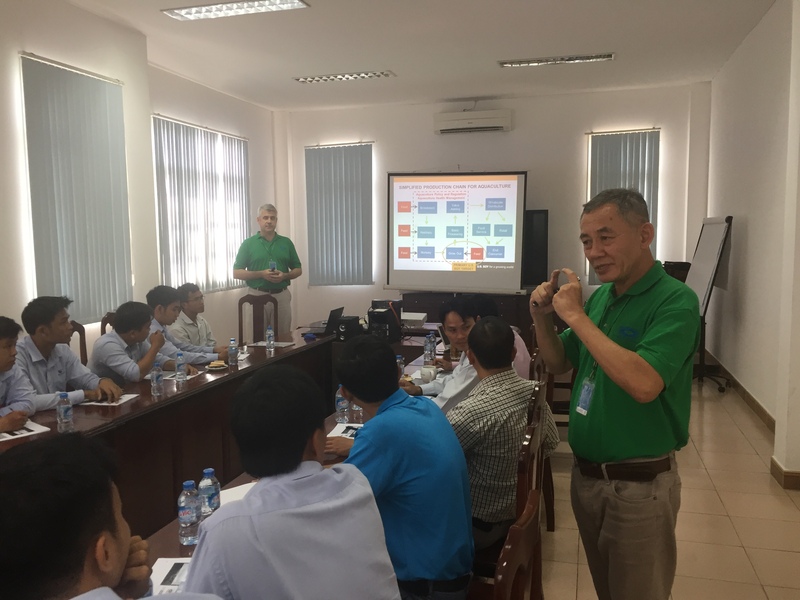 In Vietnam we had a Farmers Field Day to discuss the progress to date of a demonstration at our Gold Standard project site in Hai Duong. 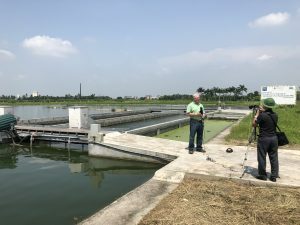 We then led a film crew from GAA to create two videos, one for an IPRS training and the other on water use (and sustainability) in aquaculture. 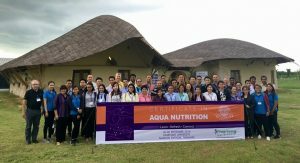 September 2018: Participate in two conferences; 2nd Annual Bangus Conference in Iloilo, Philippines and spoke at the USSEC-sponsored 10th Annual Regional Aquafeeds Forum held in Ha Noi, Vietnam. Several key events were happening in September that I took part in. 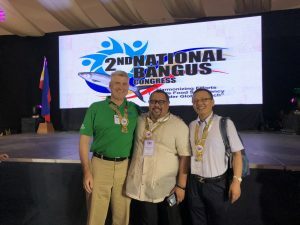 The first was in Philippines where the future direction of milkfish (bangus) culture may be heading. 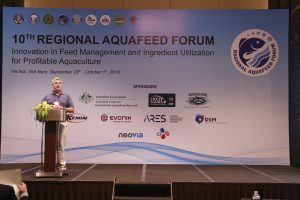 The second was a USSEC-sponsored event, the 10th Regional Aquafeed Forum (RAF10), where I gave a presentation on advanced formulation and the IAFFD. August-September 2018: Participate in the WAS AQUA 2018 meeting in France, primarily to meet with key experts from Sub-Saharan Africa. Then travel to Ghana and Zambia to meet with industry stakeholders to start pre-planning for a potential future program in the region. 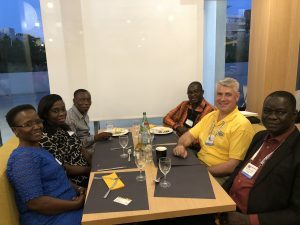 As the lead of the USSEC Sub-Saharan Aquaculture (SSA) Initiative I traveled to Montpelier, France to attend the AQUA2018 event and then onto Ghana and Zambia. 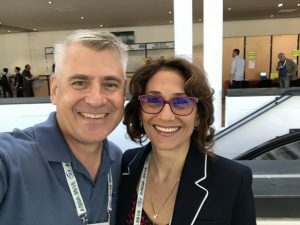 At AQUA2018 my primary focus was to meet with key SSA stakeholders, as many traveled to France to take part in this event. 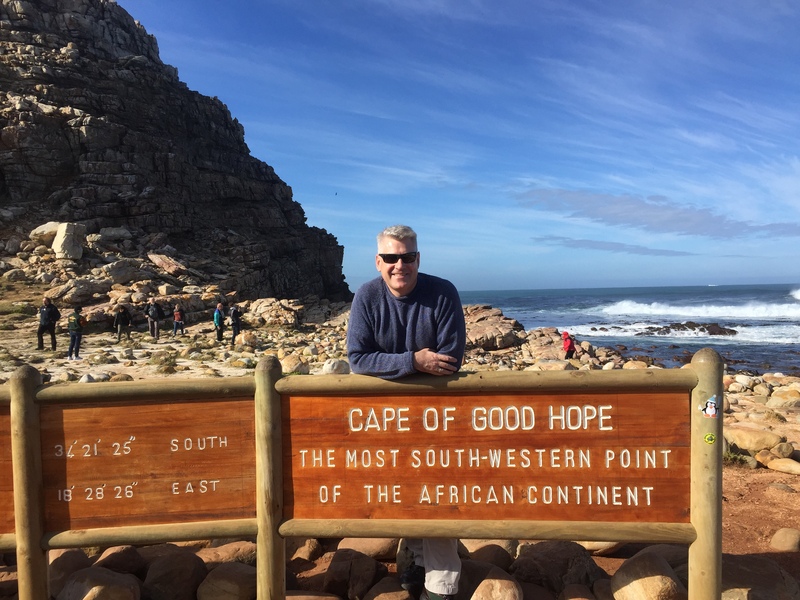 I then traveled with Mr.Lourens de Wet, the lead contractor on our SSA regional team in Ghana and Zambia. The intent was to determine the situation for feed-based aquaculture in SSA for a possible future program. August 2018: Guide a team from the Missouri Soybean Association (MOSOY) to visit the In Pond Raceway System (IPRS) demonstration in northern Vietnam. USSEC has been working with the pond-based aquaculture industry to promote a more efficient and higher yielding (volume and profit) technology, called In Pond Raceway Systems (IPRS) technology. Internationally this was first promoted in China, followed by Vietnam. 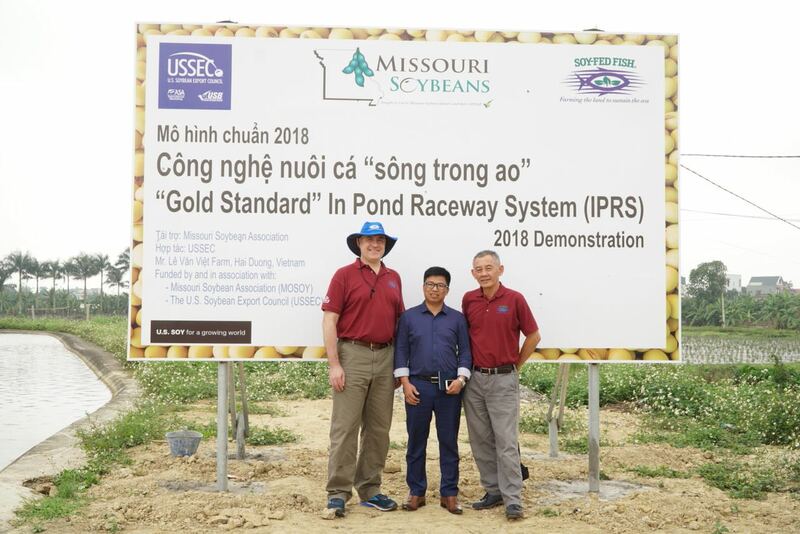 In Vietnam the Missouri Soybean Board (MOSOY) helped to fund a demonstration unit of two cells at the farm of Mr.Le Van Viet in Hai Duong. This was the first time MOSOY had sent a team to inspect the project and they were also interviewed on local media. 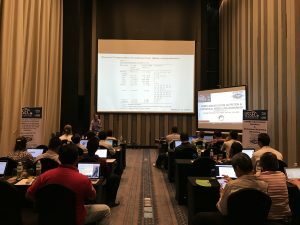 July 2018: Travel to USSEC Implementation Meeting in Chiang Mai, Thailand. 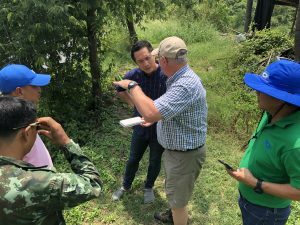 I traveled to Chiang Mai to meet with the USSEC Southeast Asia Regional Team to create a strategy for promotion of US soy through aquaculture in the coming months. July 2018: As the USSEC Sub-Saharan Africa Initiative Lead identify a regional contractor to prepare an investigative report about the aquaculture and aquafeed industries in Sub-Saharan Africa. 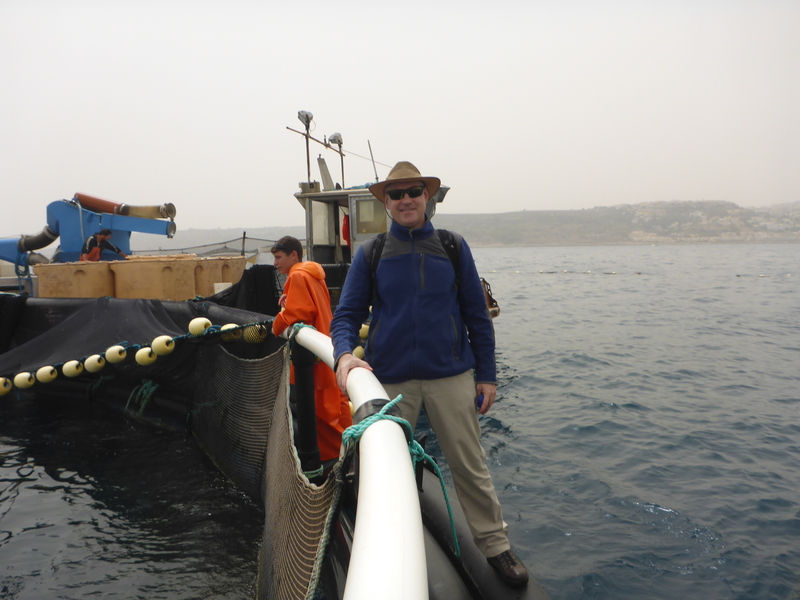 One of the areas that does not yet have a regional aquaculture team for USSEC is Sub-Saharan Africa (SSA). I was contracted to lead the SSA Initiative and identified and hired a team to help put together a comprehensive picture and report about this region. 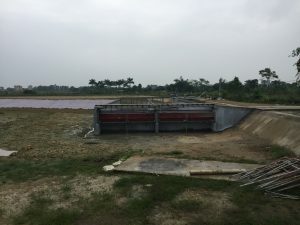 Specifically we were trying to gauge the true picture of the aquaculture industry in this region and what the short- to medium-term prospects were for further development of the industry, including aquafeeds. This month was primarily to identify and hire the team and make a plan of work in the next several months to gather information and create the report. June 2018: Participate on a panel at the SeaWeb Seafood Summit in Barcelona. 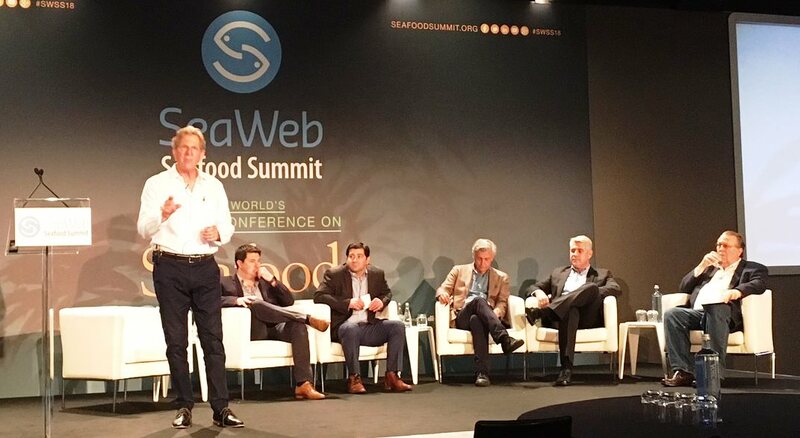 I was asked to participate in the SeaWeb Seafood Summit in Barcelona, Spain, where I discussed “Shaping a Sustainable Future for Aquaculture Feeds” in a panel discussion format. My presentation topic was about “FEED INGREDIENTS – WHEN TOO MANY “SOLUTIONS” LEADS TO CONFUSION“. This panel discussion was well-attended and had significant time for audience interaction and questions, and I believe helped to inform and educate an audience that wasn’t always very familiar with issues of seafood produced through aquaculture. June 2018: IAFFD Workshops in SEA. We continue to improve the International Aquaculture Feed Formulation Database (IAFFD, www.iaffd.com) to help increase the number and abilities of aquaculture feed formulators. We again held workshops in four regional key cities in SEA (Bangkok, HCMC, Manila and Jakarta) and this year added participants from the Global USSEC Team to allow them to gain experience to expand the program globally. For SEA in FY19 we expect to have a more targeted event focusing more on the formulators with exercises to overcome key issues in aquafeeds. 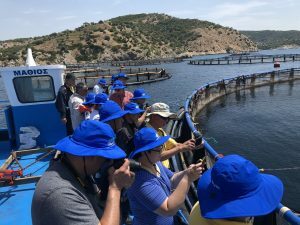 May 2018: SEA Marine Fish Stakeholder Tour to Greece. 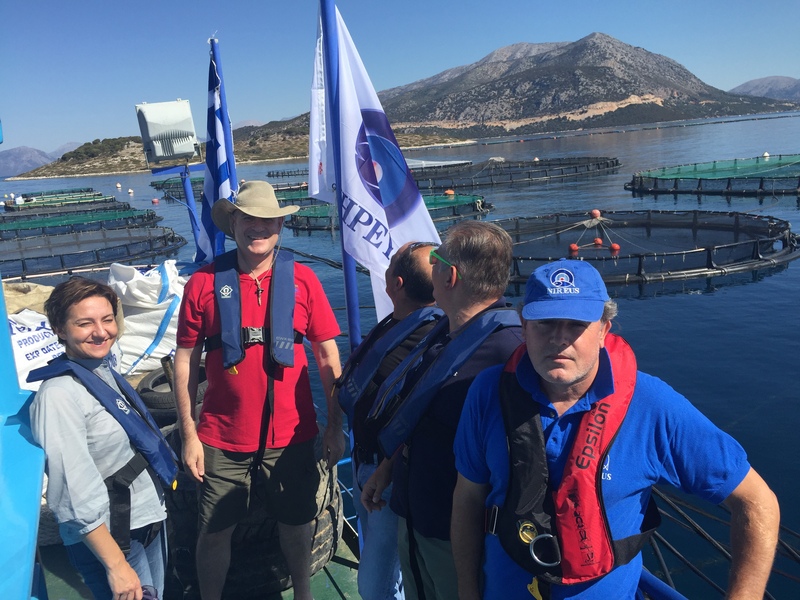 In order to better educate local SEA marine fish stakeholders in what a future offshore cage aquaculture industry would look like (and the key issues that they should pay attention to), we brought 10 stakeholders to visit the offshore industry in Greece. 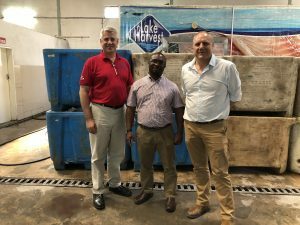 This included visits to different sized offshore cage production units, hatcheries, feedmills, processing plants and essentially all parts of the production chain. May 2018: Offshore Mariculture Conference in Singapore. 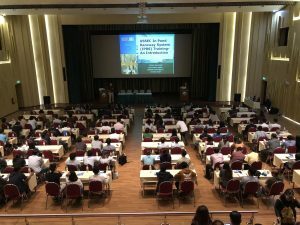 For the first time the Offshore Mariculture Conference was held in Southeast Asia, with USSEC as a major sponsor and organizer. 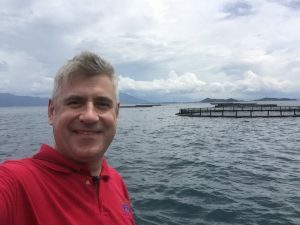 It was felt that this was the right time to start the paradigm change for SEA marine fish aquaculture to encourage a truly offshore, industrialized industry to develop. 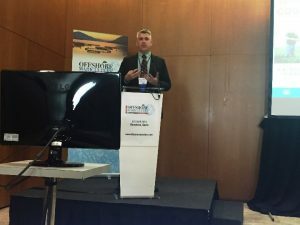 I was the co-chair for this event with Dr.Alessandro Lovatelli (FAO) and it was a high impact, comprehensive event geared toward moving the marine fish culture industry forward in this dynamic region. 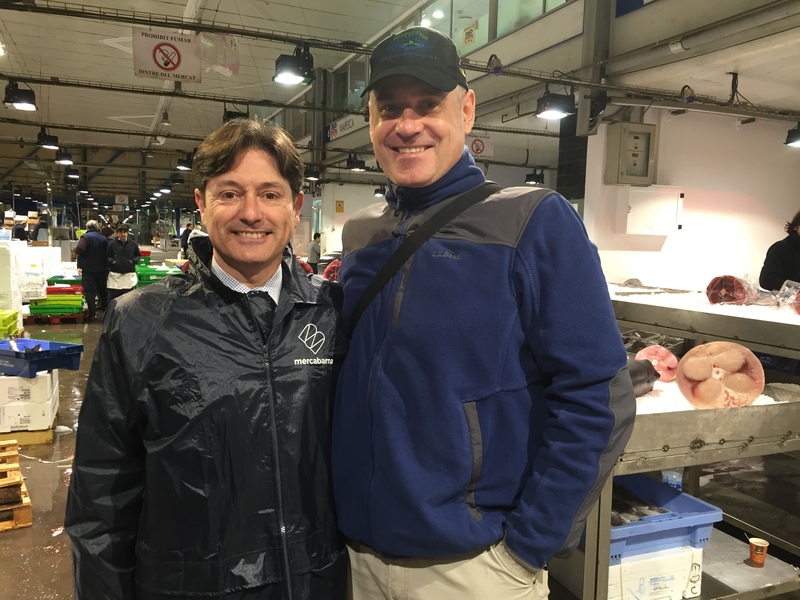 April 2018: Participation in the Global Seafood Expo in Brussels, Belgium. Understanding the current trends and products in seafood is an important part of aquaculture. 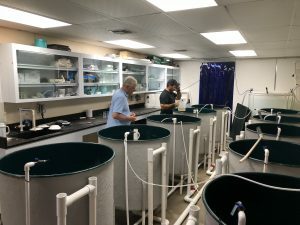 Though people are used to thinking in terms of wild catch at these events, aquaculture is becoming more and more an integral part of these events. I try to come to the three major seafood events (North American, Global and China Seafood Shows) every few years to keep updated. This is also a good venue to meet with several seafood and aquaculture-related organizations such as the BAP and ASC. We held meetings with these organizations as well as service providers like Aquanetix. 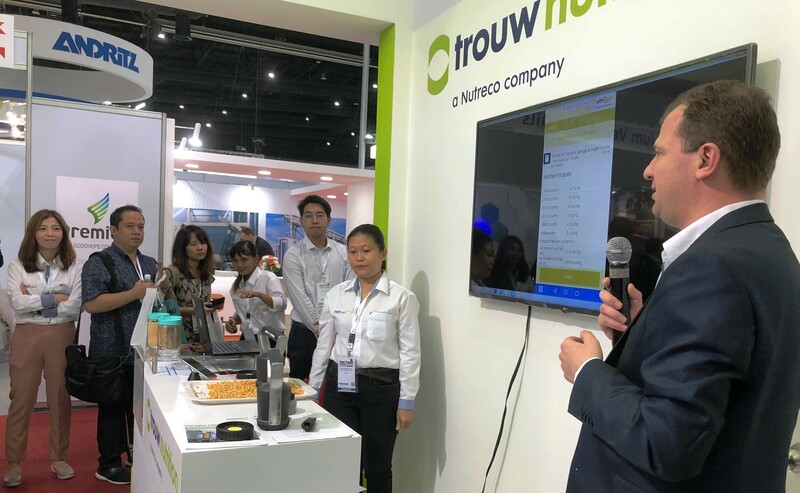 March 2018: Participation in the VICTAM show in Bangkok, Thailand. 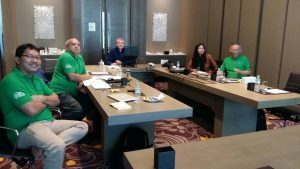 VICTAM and VIV are two important meetings for the feed industry that happen in Bangkok on a rotating two year basis (this year was VICTAM, next year is VIV). This is the meeting for learning more about feed equipment and support services, and an important event to be able to meet with various suppliers in one place. March 2018: Start of USSEC SEA’s shrimp-focused initiative. The USSEC SEA Aquaculture Program has traditionally focused primarily on fish aquaculture as this is where the bulk of feeds is used. USSEC can also be much more comprehensive in its approach with fish farmers, working along the entire production chain (from broodstock to final market). The shrimp industry has seemed less open to this type of approach, but we felt it important to have a more aggressive shrimp initiative. 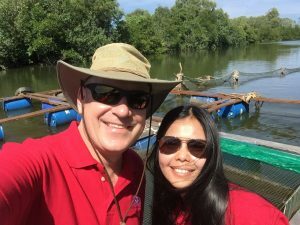 This has now started with a focus on shrimp feeds and feeding approaches. 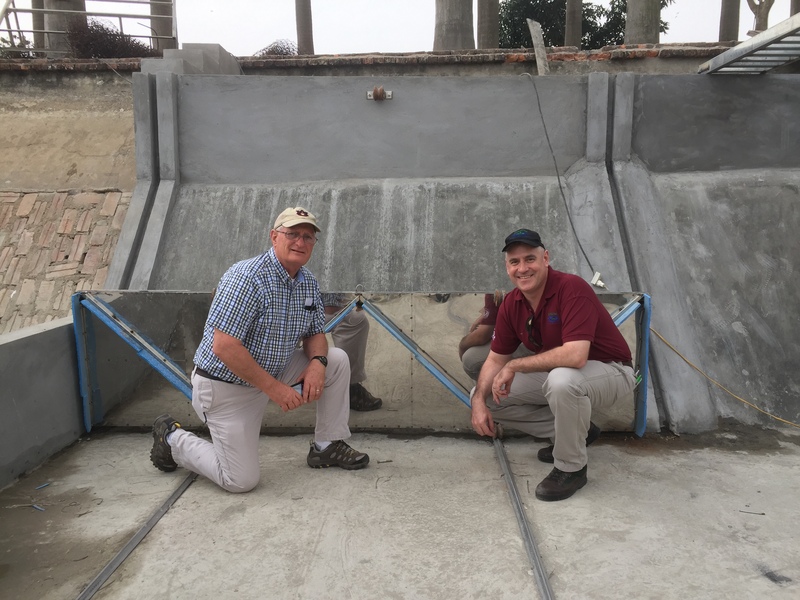 This trip to Indonesia, Thailand and Vietnam will feature presentations from Dr.Allen Davis of Auburn University and representatives of AQ1 (a sound-based automatic feeding system). We also visited super-intensive shrimp operations to better understand the technology approaches being used. March 2018: IPRS demonstration start in Vietnam. Originally we were to lead a team from the Missouri Soybean Association (MOSOY) to this demonstration that their association is funding. They were unable to attend due to unforeseen circumstances, but I traveled to Vietnam with our USSEC Vietnam Technical Manager, Mr. Vo Hoang Nguyen, and conduct further training on IPRS and work to get them on the Aquanetix data management system. 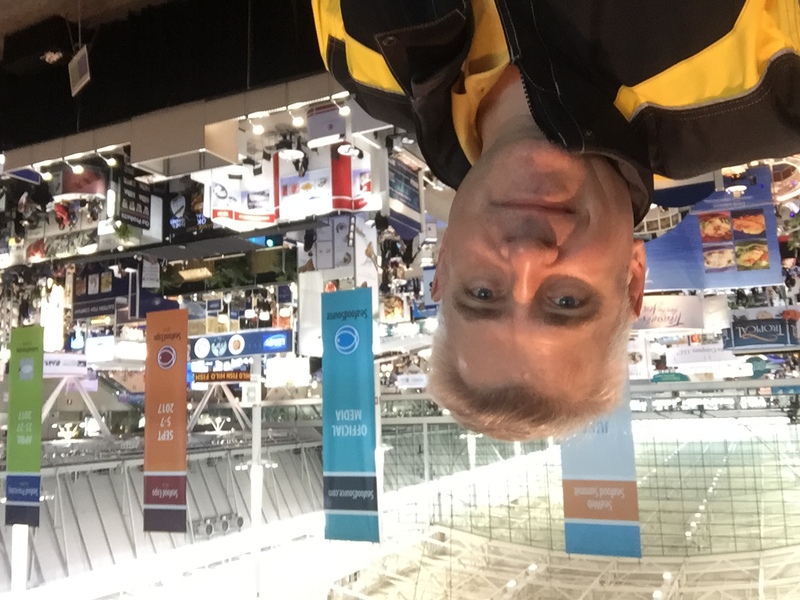 March 2018: Boston Seafood Show /Seafood Expo North America. The market is the most important aspect of seafood production, whether wild-caught or farmed. There are three main seafood shows yearly, the Seafood Expo North America (SENA), Global Seafood Expo (Brussels) and the China Seafood Show. I was able to participate in SENA this year and have key discussions with primary stakeholders. February 2018: Visit to Myanmar to interview potential new staff, evaluate a demonstration site and attend the opening of Trouw’s new premix factory. 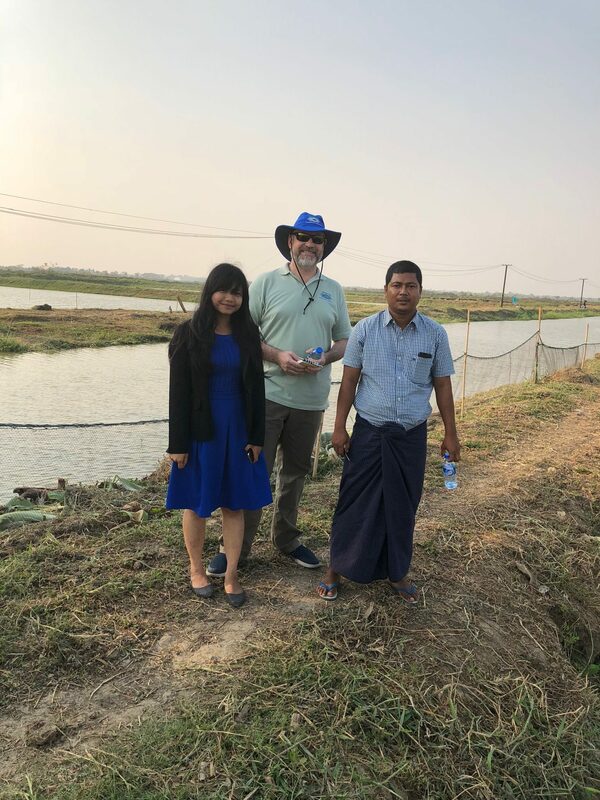 USSEC has had a strong aquaculture program in Myanmar since 2011 and as our former Technical Manager, Dr. May Myat Noe Lwin has been promoted to Country Manager for USSEC we need to identify a new contractor to provide technical support to our program. To the left is Ms. Ei Myat Noe Khin who will likely take that role. 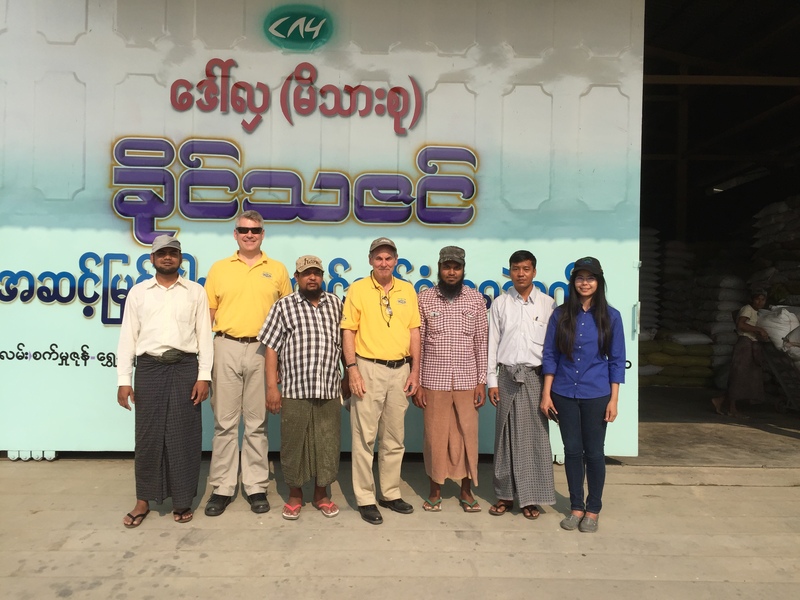 I also visited the planned demonstration site in Myanmar at the Shwe Pyae Sone Co.Ltd. Farm, outside Yangon. 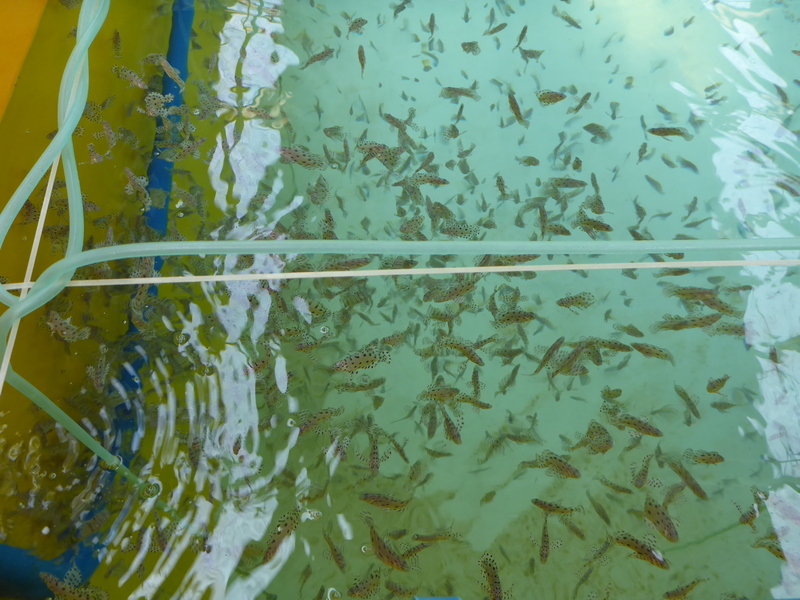 This will be a comparsion demonstration using two feeds and growing tilapia. This cooperator hopes to eventually have the volume to brand their product and look towards export markets. 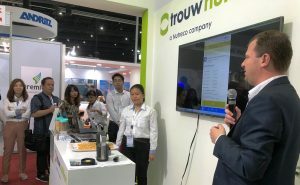 Finally I attended the opening of Trouw Nutrition’s new premix factory. February 2018: Opening of 88 Group’s new processing and cold storage plant in Thailand. 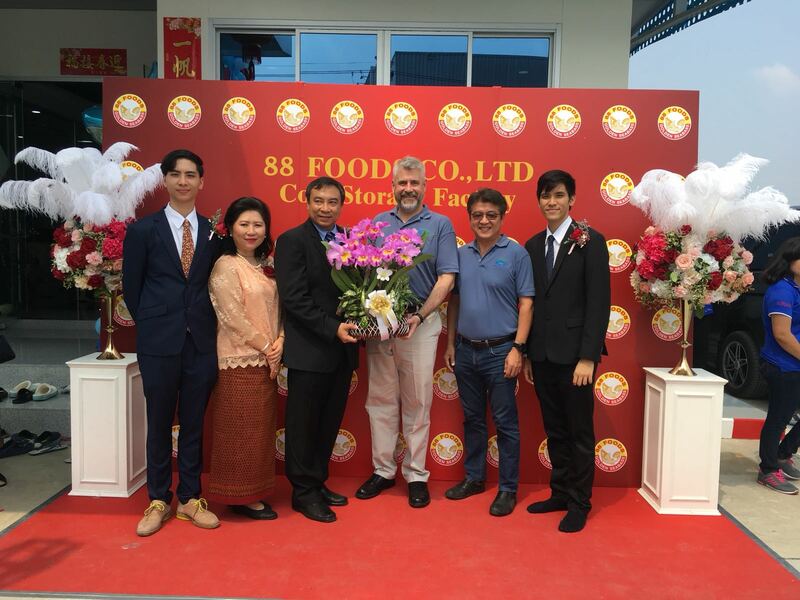 USSEC has worked for some time with the 88 Group in Thailand to better understand marine fish hatcheries, work on feed issues and generally to cooperate on key issues impacting the marine fish industry in Thailand and in SEA in general. At the opening of their new processing and cold storage plant I was one of only two outside speakers asked to speak at the event. February 2018: Visit to SEA by Mr.Mark Newman, USSEC’s Feed Specialist. Every year we bring in a feed and nutrition specialist to SEA, Mr.Mark Newman. He travels to our key target nations and meets with industry people (particularly feedmills) to conduct seminars and in-house events. He also works on formulations to be used for our demonstration projects. In the photo above we have just met with the 88 Group after discussing two test formulations. 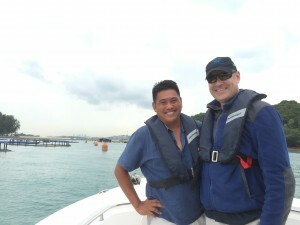 To the left is USSEC’s new Thailand Technical Manager, Mr.Chuchai Kanjanamayoon. 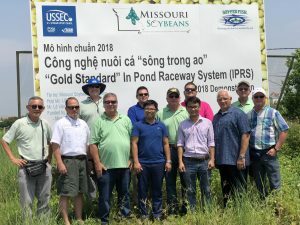 January 2018: USSEC SEA Aquaculture Team meeting in northern Vietnam and visits to the USSEC/MOSOY “Gold Standard” In Pond Raceway System (IPRS). 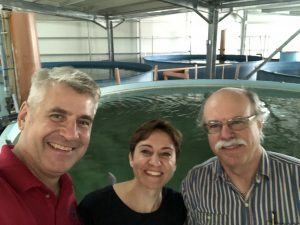 In order to have a more smoothly functioning aquaculture program we bring together the USSEC SEA Aquaculture Team to have meetings, technical presentations and industry site visits. 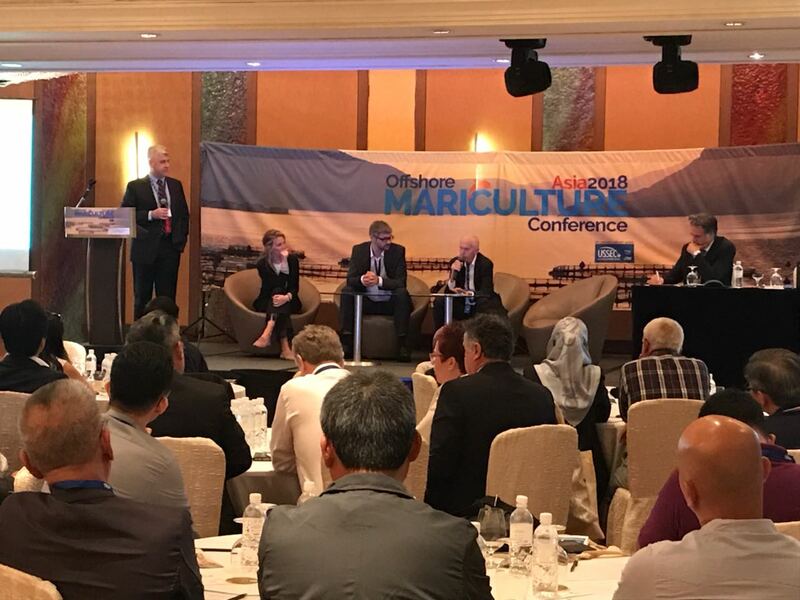 This year we had call-ins from Aquanetix, the Global Aquaculture Alliance, and the organizers of the Offshore Mariculture Conference. 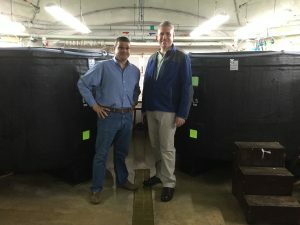 We also visited several sites, including a new aquaponics system that is linked to an IPRS system. 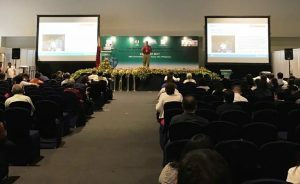 January 2018: Participation in the USSEC Aquaculture Educational Opportunity in Campeche, Mexico. 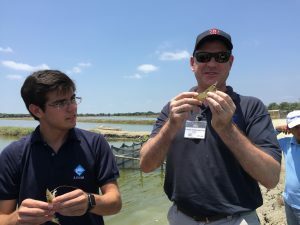 USSEC has been holding “Aquaculture Educational Opportunities” for the past few years to better educate and inform the primary funders of USSEC – the US soybean farmers. This year this took place in Campeche and included industry visits to the tilapia industry. 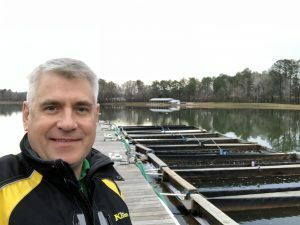 December 2017: Travel to the USA and meetings at Auburn University and with the Global Aquaculture Alliance. While in the USA I took the opportunity to visit Auburn University in Alabama and to meet with the Global Aquaculture Alliance at their headquarters in New Hampshire. The intent is to bring a group from SEA to AU to learn more about the floating IPRS systems and how they are designed and operated. With GAA we hope to partner to better inform and educate the SEA industry in the importance and role of aquaculture certification. In particular we want to see the entire industry at least aware of what is needed so that this is put into their forward planning, particularly for those looking to export product. November-December 2017: Start of FY18 for USSEC with planned visits to Indonesia, Philippines, Singapore and Vietnam to work with key staff and contractors. I traveled through all of USSEC’s target nations with Technical Managers to help to guide the program as we move into the FY18 project year. Of particular importance were the IPRS effort in Vietnam and speaking to feedmills about their formulation and ingredient purchasing issues. 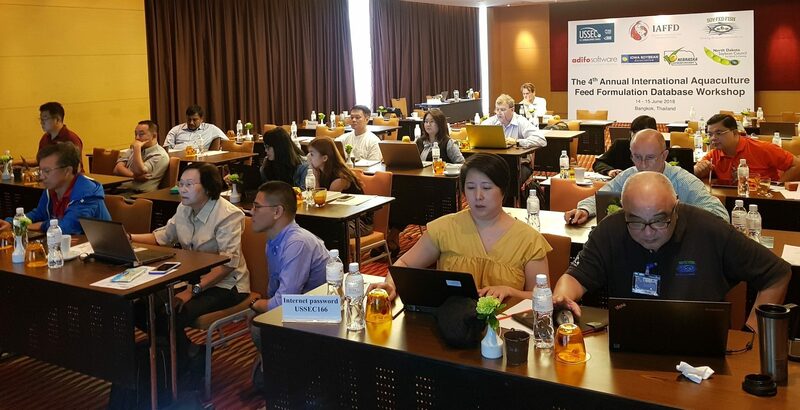 October 2017: Host a workshop “Introduction to Nutritional and Statistical Modeling for Commercial Aquaculture Nutritionists” in Thailand. We have noted that there are issues in the SEA aquaculture industry both with data collection and analysis of that data. 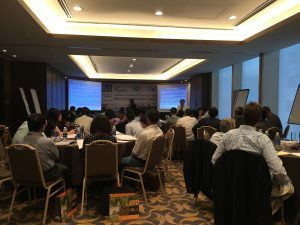 This workshop was created to start the process of getting the industry to try to use data more effectively to determine the quality and efficiency of aquaculture production, particularly as related to feed. October 2017: Attend the GAA GOAL Conference in Dublin, Ireland. 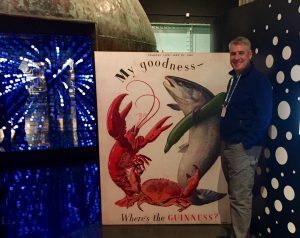 I attended the 2017 Global Aquaculture Alliance’s GOAL meeting in Dublin, Ireland. 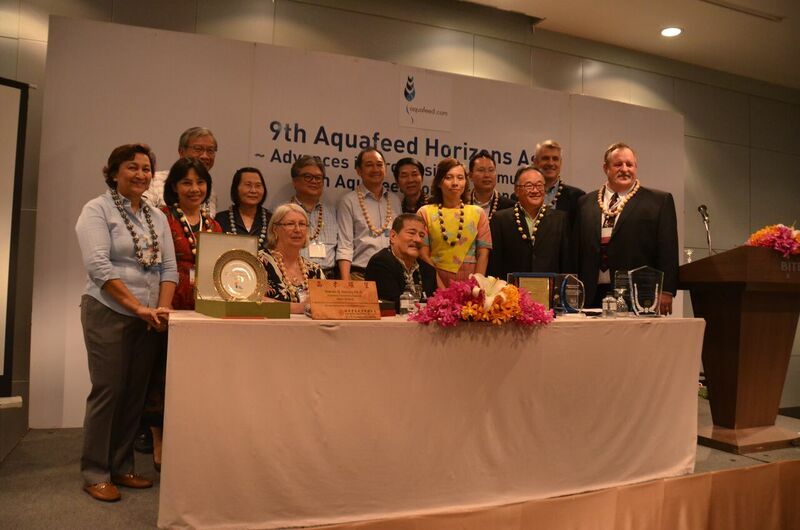 This allowed meetings with high level aquaculture and seafood stakeholders in both formal and informal settings. 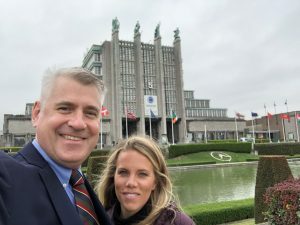 Meetings like this differ from other aquaculture events because they are targeted to top level issues and to bring together those that can have an impact on those issues. 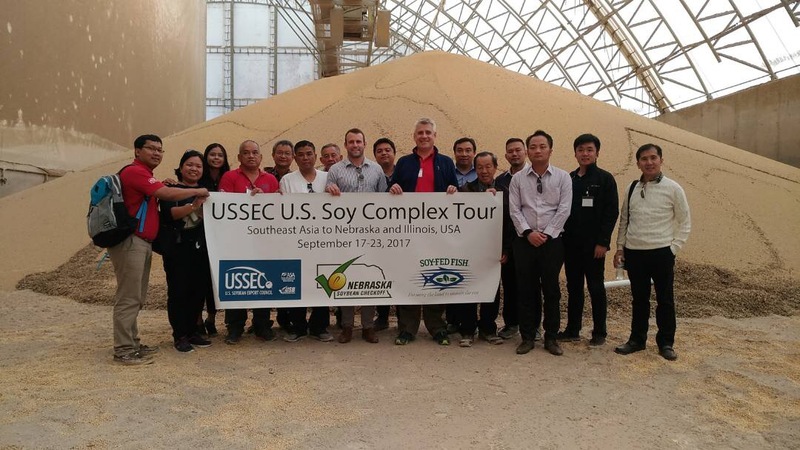 September 2017: Travel to Nebraska and Illinois to bring a stakeholder group from Southeast Asian aquaculture to see the US soy complex. 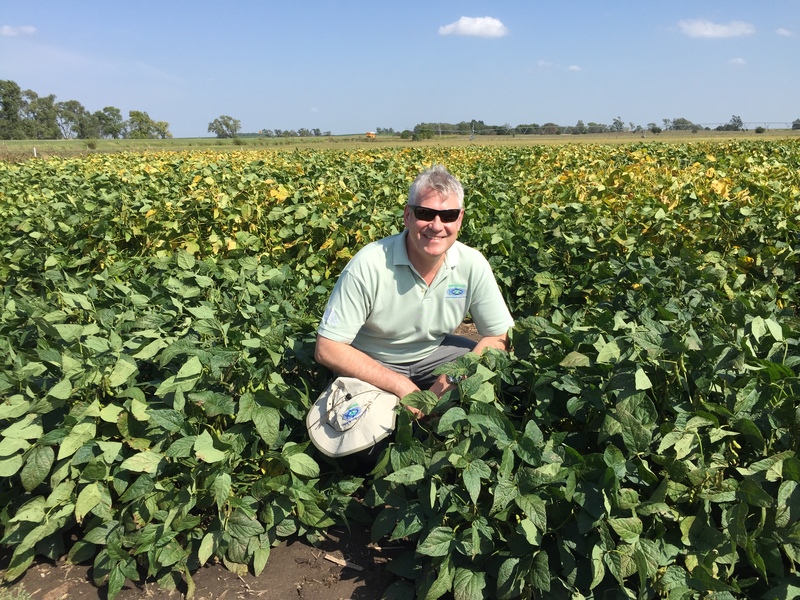 This travel schedule in Nebraska, Iowa and Illinois allowed USSEC to highlight both the ingredient and nutrient values that make US soy products preferred soy internationally. The US soy industry strongly supported this visit, and the participants indicated that they were very impressed to see how the US researches, produces, transports and trades soy. 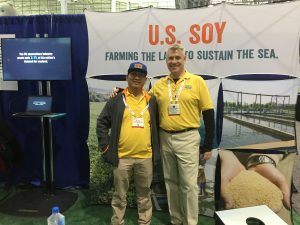 Initial discussions occurred with some of the soy trading firms between the participants and sales teams on soy purchases – primarily container shipments which are the most flexible way for buyers from aquaculture feedmills to directly access US soy products. 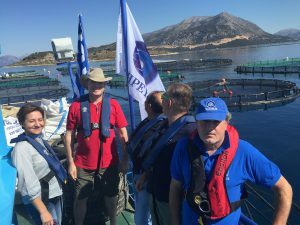 September 2017: Visit to the offshore cage mariculture industry in Greece. 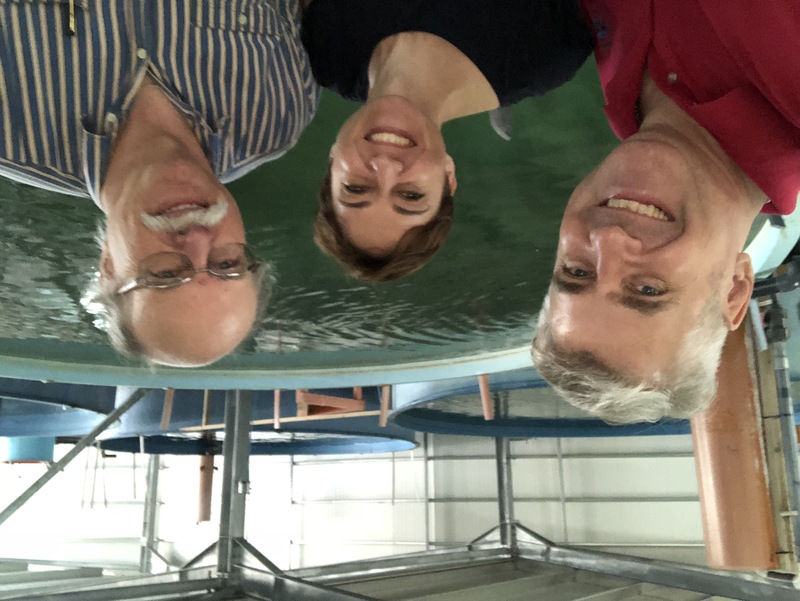 I traveled to Greece with Mr.Patrick White and Ms.Stella Adamidou to investigate the Greek offshore mariculture industry for a potential FY18 USSEC Stakeholder Trip. 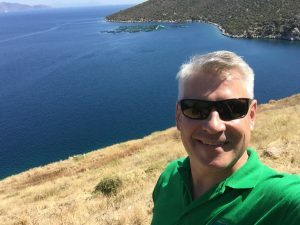 This was an intense travel schedule prepared by Ms.Adamidou (of Aquanetix), which had us travel through Kefalonia, Nafpaktos, Astakos, Athens and Salamina. 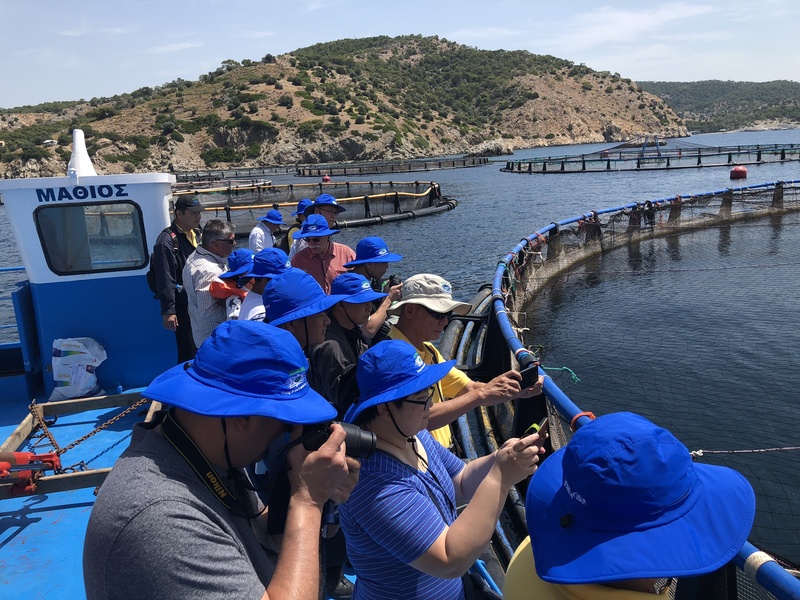 This was a chance to see much of the marine fish aquaculture production chain from broodstock until final consumer, including feedmills and equipment and consulting firms. 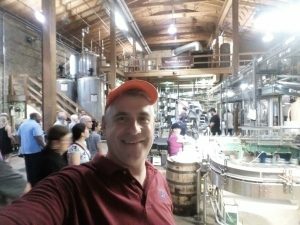 An FY18 Team Trip is planned for April or May of next year. August 2017: Travel to Singapore and Myanmar for USSEC activities. 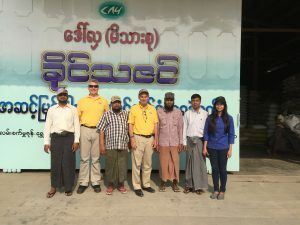 I traveled to Singapore to meet with regional staff and then traveled to Myanmar where we held a Farmers Field Day event. 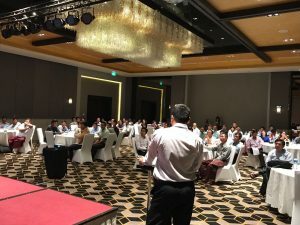 This FFD was to highlight the results of the recently completed tilapia demonstration, to have a discussion about the experience of the group of Myanmar tilapia hatchery stakeholders at the AIT Hatchery Tilapia Training in Bangkok, Thailand, and to have a presentation from Mr.Louis Win of High Liner Foods (HLF) on how the Myanmar tilapia industry should approach reconstituting the export tilapia industry in Myanmar. There were also presentations from the demonstration farmer and the local seafood processors. July 2017: Travel in the United States to present at the Kentucky Soybean Board Meeting. I traveled to Kentucky to present to the Kentucky Soybean Board’s annual meeting with Mr.William McNair from USSEC’s St.Louis office. 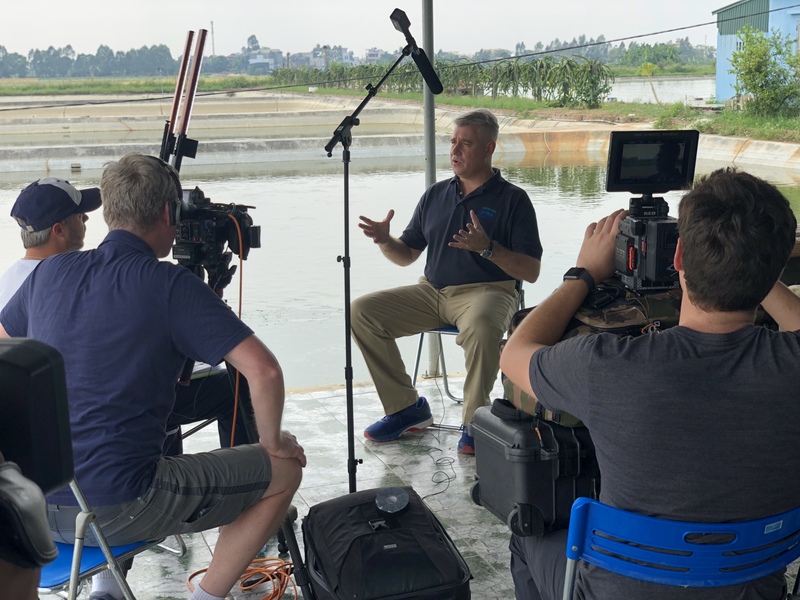 This was an opportunity to update the KSB about the situation for soy and grains in Southeast Asia and how USSEC has leveraged the support from the KSB in SEA. June 2017: Attend the World Aquaculture Conference in Cape Town, South Africa. 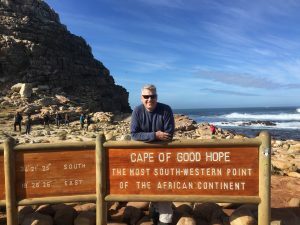 I traveled to South Africa with two key objectives. 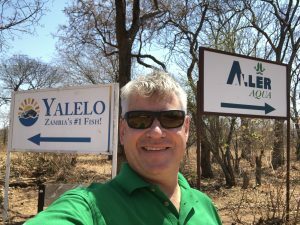 The first was to present at the World Aquaculture Conference on the IAFFD – this was particularly important as the aquaculture feed industry is just developing in sub-Saharan Africa. 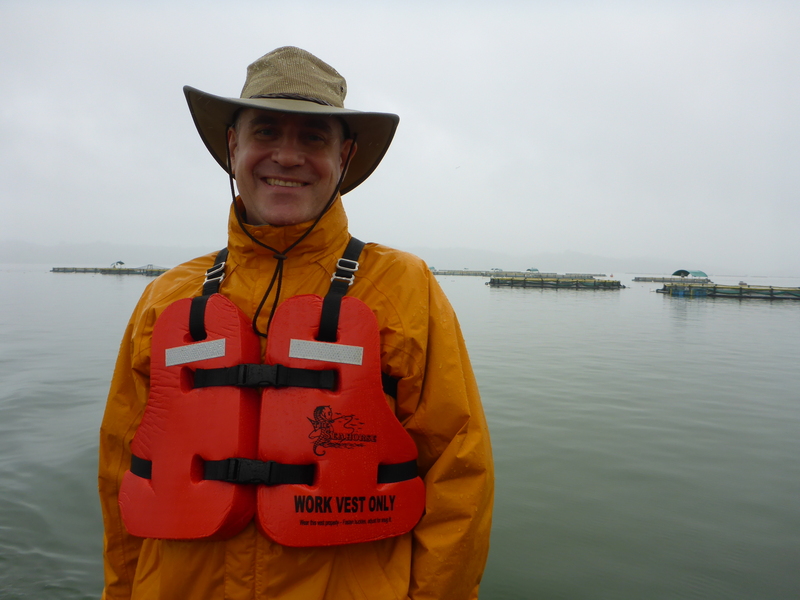 I also went as a representative of USSEC to determine if the sub-Saharan region might be ready for a limited USSEC aquaculture program. USSEC technologies have been discussed in the region, particularly by staff from Auburn University, but we felt it might be time for a closer look with a short term project/activity in the near future. It seems that this may be the case and we have a short list of the target nations and some possible key contractors already. 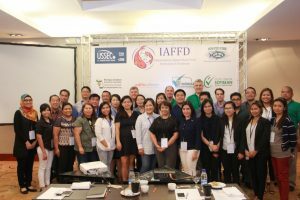 June 2017: USSEC Aquaculture Formulation Workshops “3rd Annual International Aquaculture Feed Formulation Database Workshop” in Indonesia, Philippines, Thailand and Vietnam. With a variety of partners, including USSEC, SCA, USAID, MITACS, Adifo and others, the first standardized, commercially-oriented aquaculture feed formulation database, the International Aquaculture Feed Formulation Database (IAFFD) has continued to be developed and used with group training workshops. 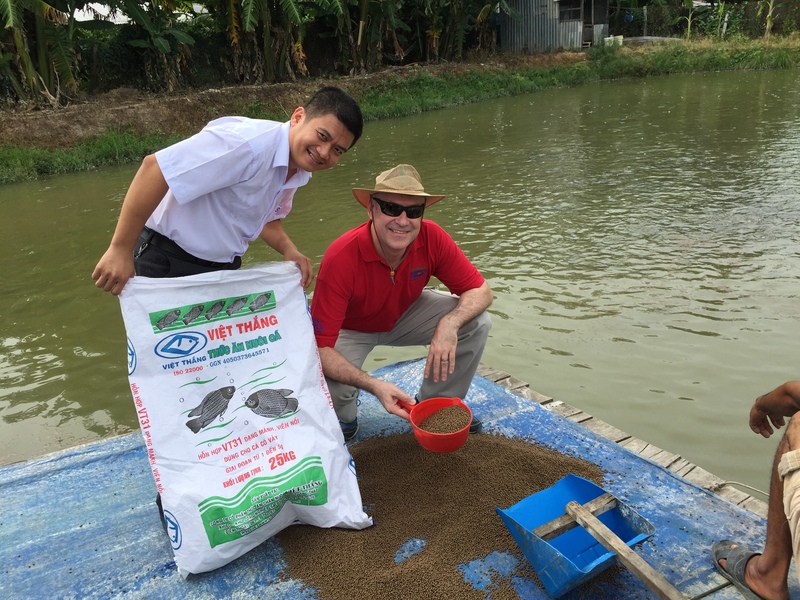 Now in Stage III, the IAFFD has matured into a powerful tool to work with aquaculture feed formulators. 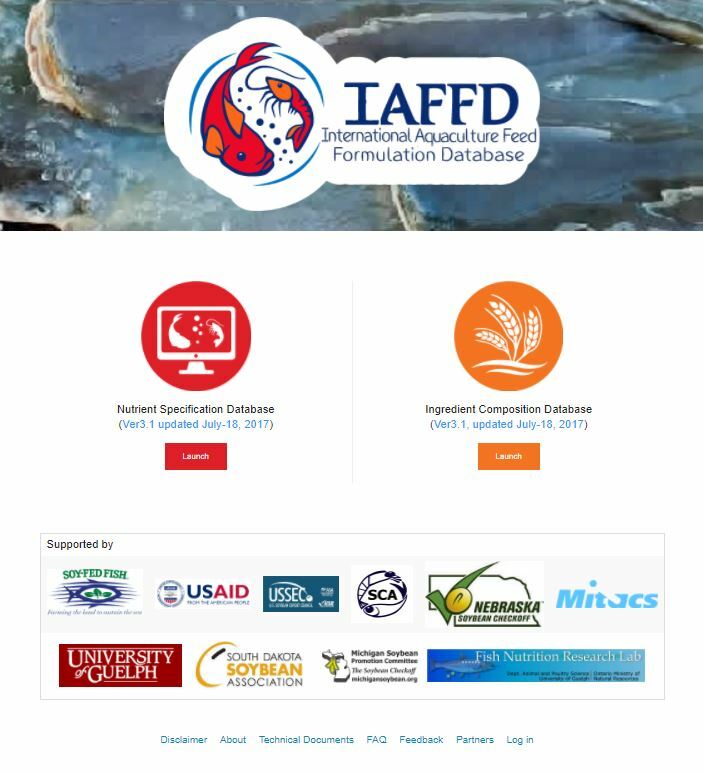 Comprising 28 different species groups and over 460 ingredients, the IAFFD allows the training of large groups of aquaculture formulators on a common feed formulation program using a common feed formulation database. This allows more advanced workshops to help aquaculture formulators find better ways to create formulations that will be profitable, efficient and sustainable. In particular it also helps to move aquaculture formulation from an ingredient-based approach to formulation to a nutrient-based approach. The IAFFD still is the only known comprehensive, publicly available aquaculture feed formulation database that exists. 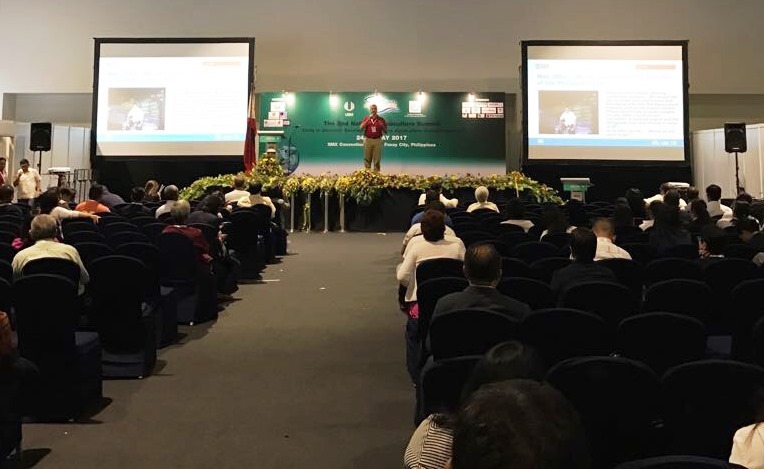 May 2017: Present at the 2nd National Aquaculture Summit “Unity in Diversity: Developing Philippine Aquaculture Competitiveness” in Philippines. 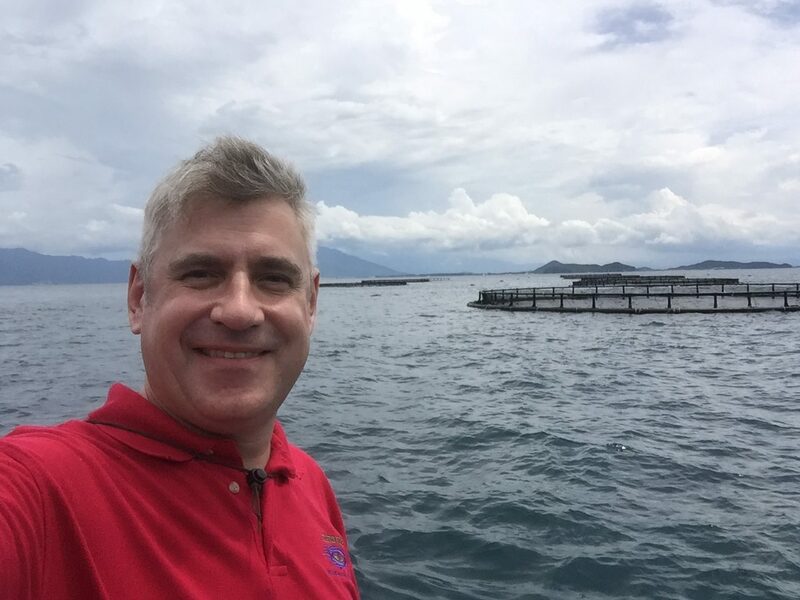 Key players in the Philippine aquaculture industry asked me to participate in their annual Aquaculture Summit to discuss a very specific topic: “15 YEARS OF OBSERVING PHILIPPINE AQUACULTURE: WHY THE PHILIPPINES IS NOT YET A MAJOR AQUACULTURE EXPORTING NATION?”. 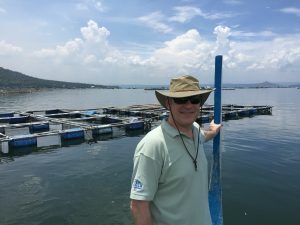 It was felt with over 80 trips to the Philippines and travel to almost all of the major production areas that I might have some good insights on why the Philippine is still almost exclusively a domestic aquaculture producer. May 2017: USSEC SEA Aqua Team meeting and industry support in Nha Trang, Vietnam. We bring our USSEC Southeast Asian Aquaculture Team together on a biennial basis to allow us to ensure proper investment of the US Soybean Farmer funding and to have an opportunity to learn from a key industry. 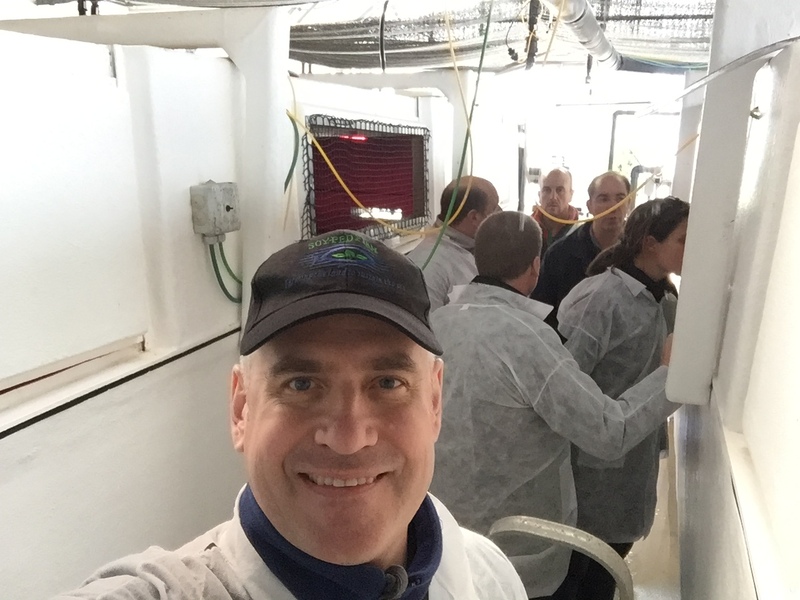 In this case the education event was a visit with Australis Aquaculture, an offshore cage barramudi farming operation (that is partially vertically integrated with hatchery, nursery and processing). This was a good example of one of the few currently successful offshore cage operations in SEA, and a great example of the future potentials of the region. 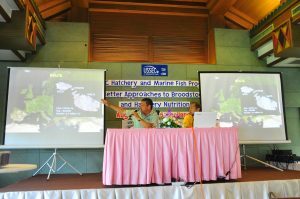 May 2017: Marine fish marketing seminars “Development of a Sustainable, High Volume, Export-Focused Marine Fish Aquaculture Sector in Southeast Asia”in Indonesia, Malaysia, Philippines and Vietnam. 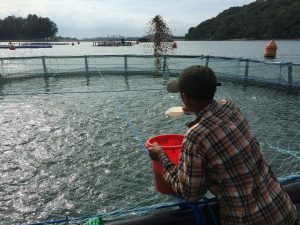 The marine fish aquaculture sector in Southeast Asia seems to behind the rest of the world in the adoption of higher volume, industrial scale marine fish production, particularly when it comes to offshore cage aquaculture. This could be a good thing, as when the industry does change, it will learn from the lessons of other areas. However, if no planning is in place how to sell the higher volume of fish produced from such operations, the likelihood is that the first thing that will happen is that the domestic and regional market prices will crash. 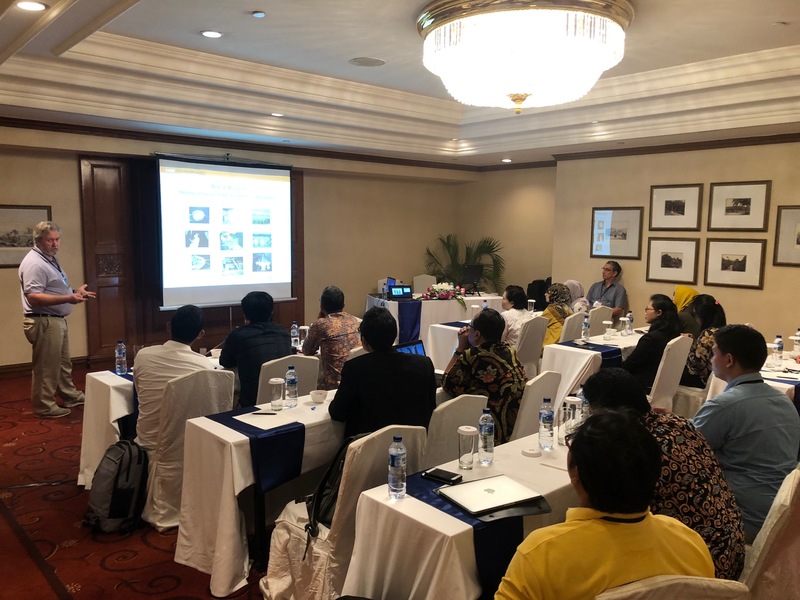 This workshop series was to help work with the various stakeholders in the marine fish industries in Malaysia, Indonesia, Vietnam and the Philippines (including an international buyer) on what they need to do to prepare for marketing marine fish to export (extra-regional) markets. This type of planning needs to take place before production plans are in place so we don’t see a repeat of the mistake where the product can be produced but the market has not been identified or developed. April 2017: Travel to northern Vietnam to discuss the “gold standard” In Pond Raceway System (IPRS) demonstration and meet with key stakeholders, including the VSA to discuss the upcoming marine fish workshop. 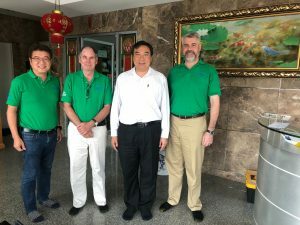 April proved to be a very busy month administratively, but there was still an opportunity to travel to northern Vietnam for some key work with two stakeholders. 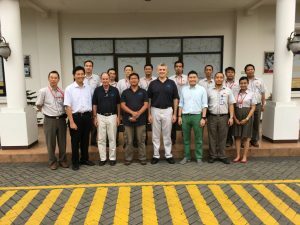 Cargill is working with USSEC on promotion of the IPRS technology and VSA (Vietnam Seaproducers Association) is a cosponsor of the USSEC marine fish workshop to be held in May in HCMC, Vietnam. 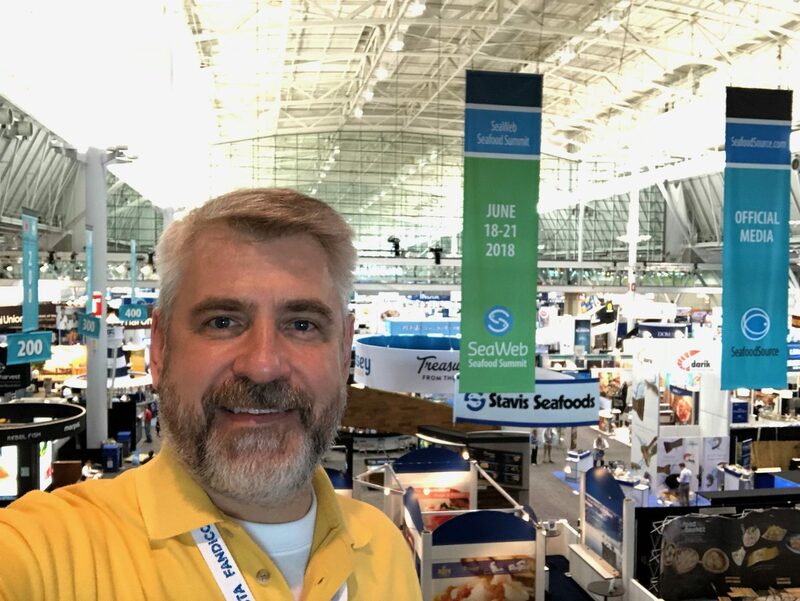 March 2017: Travel to Boston, USA to serve in the USSEC Aquaculture Advisory Council and attend the Seafood Expo North America in Boston, USA. There were two major activities that took place in Boston. 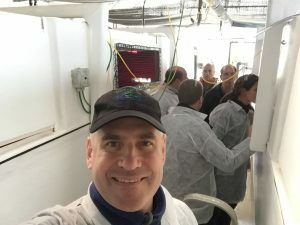 The first was an annual Aquaculture Advisory Council meeting for USSEC which brings together key people from industry to try to identify important trends to pay attention to. USSEC has always been good at identifying issues “ahead of the curve” and this is part of that effort. The second major activity was to attend SENA 2017. 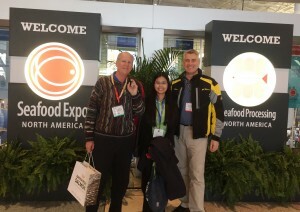 Aside from giving good insight into the North American seafood market, it was also a chance to meet with potential speakers and stakeholders that will be a part of May’s marine fish marketing seminars “Development of a Sustainable, High Volume, Export-Focused Marine Fish Aquaculture Sector in Southeast Asia”in Indonesia, Malaysia, Philippines and Vietnam. 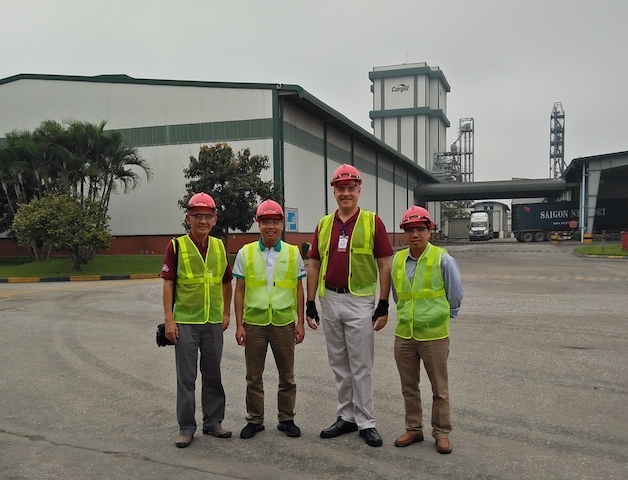 This February our USSEC Feedmill Specialist, Mr.Mark Newman, was in Southeast Asia. I traveled with Mark in both Vietnam and Indonesia where we met with key feedmills, particularly those that are collaborating with us on demonstrations or are key targets for U.S. soy products. I also met with three of our four Technical Managers (TMs) and our Asia Marine Specialist to discuss how the FY17 program is coming along, and particularly about demonstration projects, the Marine Fish Marketing Workshop, our marine fish hatchery program and the upcoming IAFFD workshop. This required additional travel to the Philippines, Thailand and Singapore. 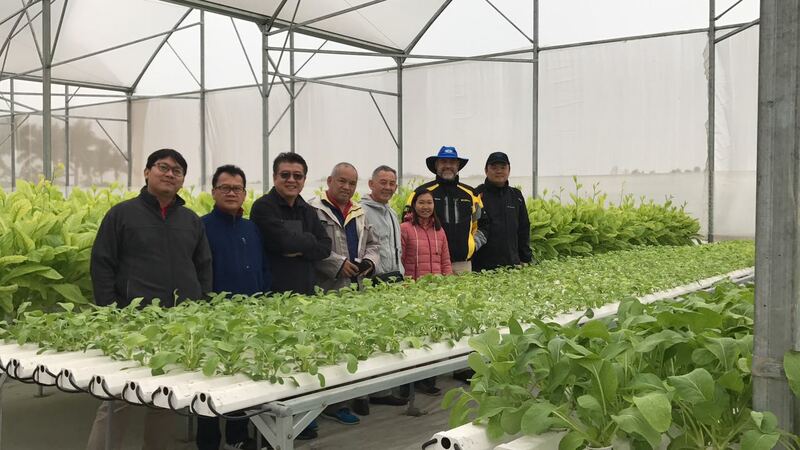 The primary purpose of this travel was to take part in an Aquaculture Education Opportunity event for U.S. soy farmer Grower Leaders. This was a chance to share information on a global basis for the lead USSEC aquaculture contractors. 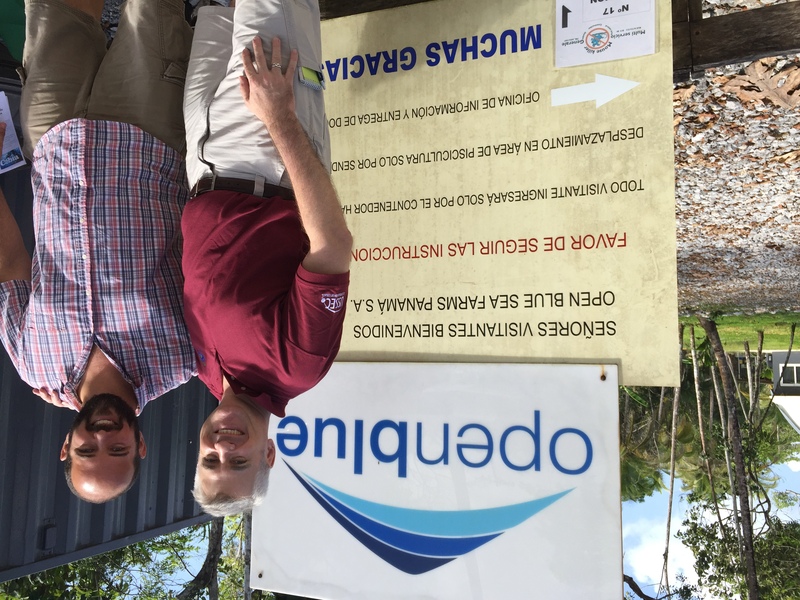 Additionally, this was an opportunity to visit the OpenBlue offshore cage operations in Panama (with OpenBlue’s founder, Mr.Brian O’Hanlon). They are targeting about 2,500MT of cobia in 2017, and selling to target markets internationally. Based on the trip in November, it was determined that we needed to do a better assessment of the IPRS rollout in northern Vietnam. In addition we also determined that we needed better training materials to inform and educate the industry. 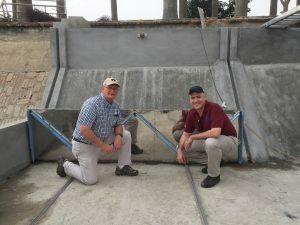 I was able to participate in the development of these materials as well as the first use of them in front of a feedmill sales and technical audience. 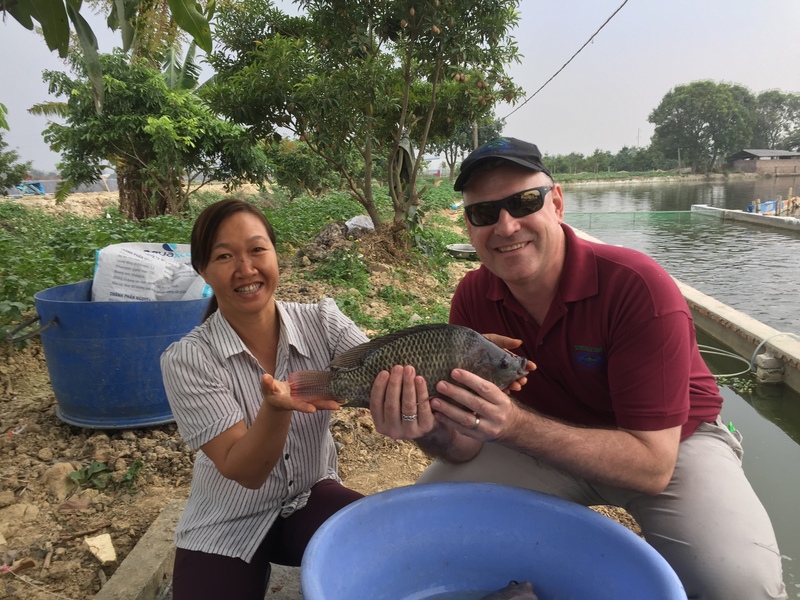 In preparation for the FY17 WorldWide program on the In Pond Raceway Aquaculture technology (IPRS, formerly known as IPA) in Vietnam I traveled to northern Vietnam to see the progress of the USSEC VM program. 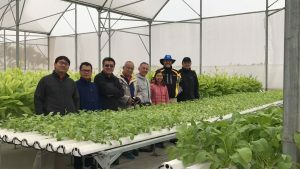 It was clear that the Vietnamese industry was very excited by this new approach, as we visited several units either functioning or under construction. Based on this we are going to quickly bring in our IPRS expert, Dr.Jesse Chappell, in January to conducted targeted training programs. 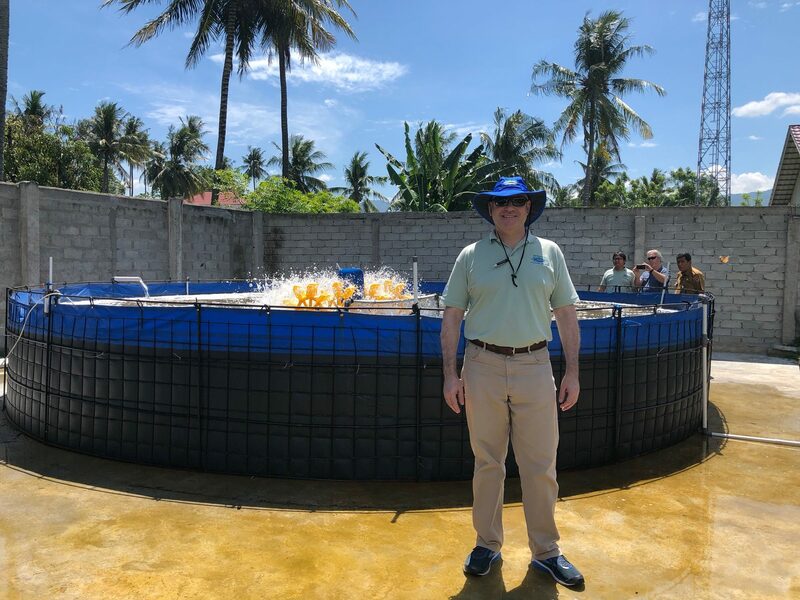 I also traveled to Philippines where I met with representatives of two industry associations, one for aquaculture products and production and the other for aquaculture feedmilling. To summarize the FY16 project year and to plan and prepare for the FY17 and FY18 project years the USSEC SEA Aqua Team met in Sihanoukville, Cambodia where USSEC has had an active program with the MARDeC marine fish hatchery. Aside from internal meetings we also toured various marine fish industry sites and gave a presentation to MARDeC staff and local farmers. 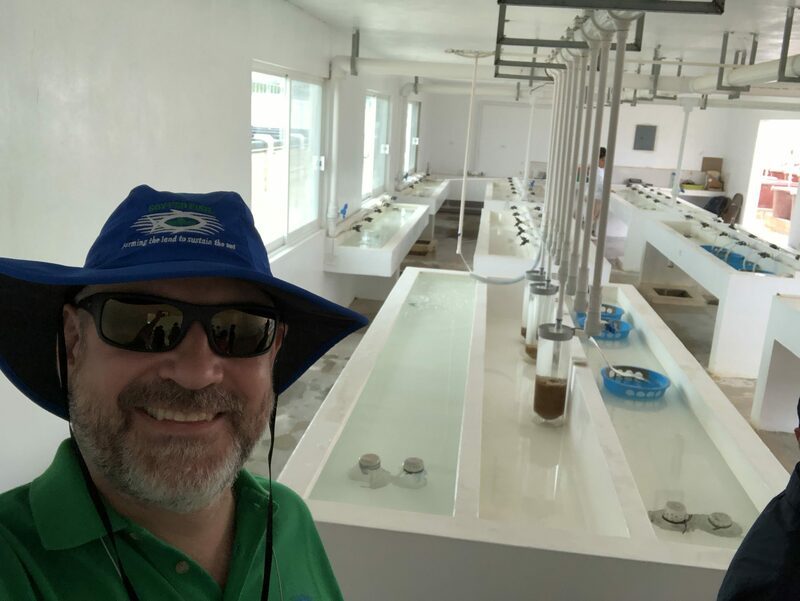 As part of the USSEC Aquaculture Program Global Team, and the key technical contractor, I was asked to accompany a group of U.S. soybean farmers and aquaculture consultants to visit the Ecuadorian aquaculture industry, primarily the shrimp, tilapia and feedmill industries. This was also an opportunity to visit the annual AquaExpo event held during this time. We were able to see some of the cutting edge approaches the industry here is using with shrimp such as water recirculation and shrimp automated feeding (AQ1 systems) in particular. As part of the drive to guide the Southeast Asian aquaculture industry to move to more industrial approaches, I helped to lead a team of SEA marine fish farmers to visit the industrial offshore cage marine fish farming industry in Malta and Italy (specifically Sicily). The intent is to encourage the industry in SEA to move to an industrial, export model. We are starting to see this happening, but trips like this (and previous ones to Turkey and Norway) help to show SEA stakeholders that this is a reality, not just a concept. 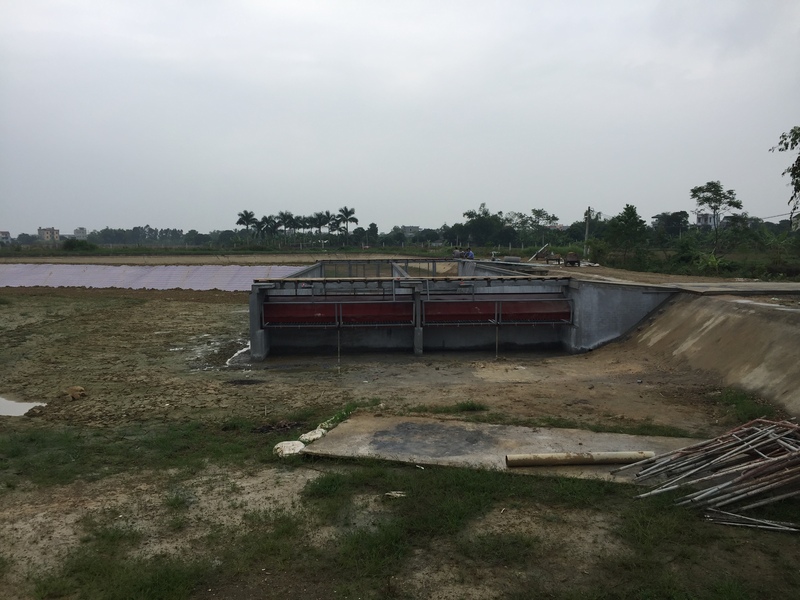 USSEC provides technical servicing to the aquaculture industry in Southeast Asia, and as part of that servicing we do a lot of work with feedmills. However, aquaculture feed specialists are few and far between and we helped to collaborate to encourage commercial industry to develop shortcourses on the topic of aquaculture nutrition. 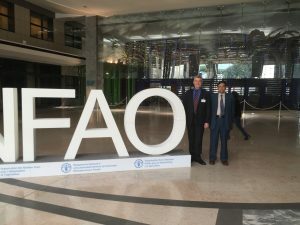 At this event I also had a chance to speak on the International Aquaculture Feed Formulation Database (IAFFD, formerly the AAFFD) and work with some formulators to try out basic formulation exercises. USSEC is part of a consortium that has helped to develop the first standardized aquaculture feed formulation database, the Asian Aquaculture Feed Formulation Database (AAFFD) now in Stage II development. 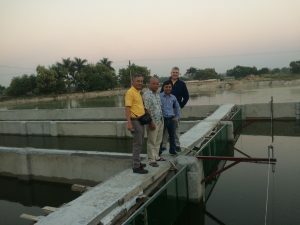 This database can be found at www.asianaquafeeddatabase.com and is a valuable resource to aquaculture feed formulators. Four, two-day workshops were held in Bangkok, Manila, Ho Chi Minh City and Jakarta with both seminars and hands-on formulation exercises. An important issue in Southeast Asian marine fish hatcheries is the use of fresh seafood for feeding and maintaining broodstock. This is an important disease vector for parasites, bacteria and viruses. We brought Dr.Robert Vassallo Agius from Malta to discuss the advantages and approaches for using formulated feeds for broodstock for bioescurity and better conditioning. 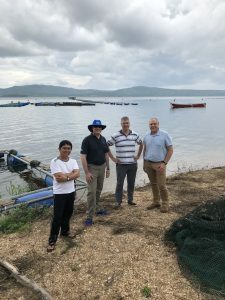 Our key personnel in Southeast Asia, along with researcher Dr.Igor Pirozzi (who is the Principal Investigator for a USSEC supported multi-year grouper project), met in Coron, Philippines for meetings and to visit the facilities of Palawan Aquaculture Corporation (PAC), who run a grouper hatchery and growout operation. I also traveled to Minneapolis, Minnesota, USA to participate in the USB Annual Board Meeting. 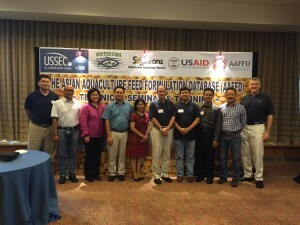 I represented the USSEC Southeast Asia office and had an opportunity to discuss the aquaculture program specifically. Demonstration projects are being conducted throughout SEA. During this trip we met with a key stakeholder to discuss marine fish offshore cage farming, and also visited Lake Taal to inspect the preparations for a very important demonstration that will look at tilapia fed fishmeal free diets, diets with 3% fishmeal and a commercial diet. The FY16 Offshore Cage Demonstration near St.John’s Island off of Singapore has been initiated and four finger threadfin have been stocked. Soybean Protein Concentrate from United States origin soybeans are being used in a sinking, extruded feed for this demonstration. We had originally planned to bring a team from Southeast Asia to Izmir, Turkey in May to see the advanced offshore industry there. However, due to the deteriorating security situation there we had to cancel that trip. Therefore, after some discussion, we decided to investigate the Malta offshore industry as a suitable replacement. Although smaller, it was determined that we could still showcase much of the same ideas and principles in Malta that we would have seen in Turkey. 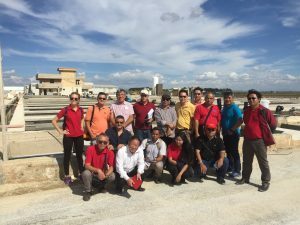 However, when we conduct this trip (not planned in October), we will also need to travel to Italy to see the industrial hatchery industry there. The intent of my meeting with FAO was to investigate whether the USSEC and FAO could find areas of common ground to work together and to generally learn more about what FAO is doing in the field of aquaculture. I presented at the World Mariculture Conference on the topic of “Southeast Asia – preparing for investment in offshore cage production”. This was a good forum to speak on this subject as Europe has arguably the most advanced cage culture industry in the world. 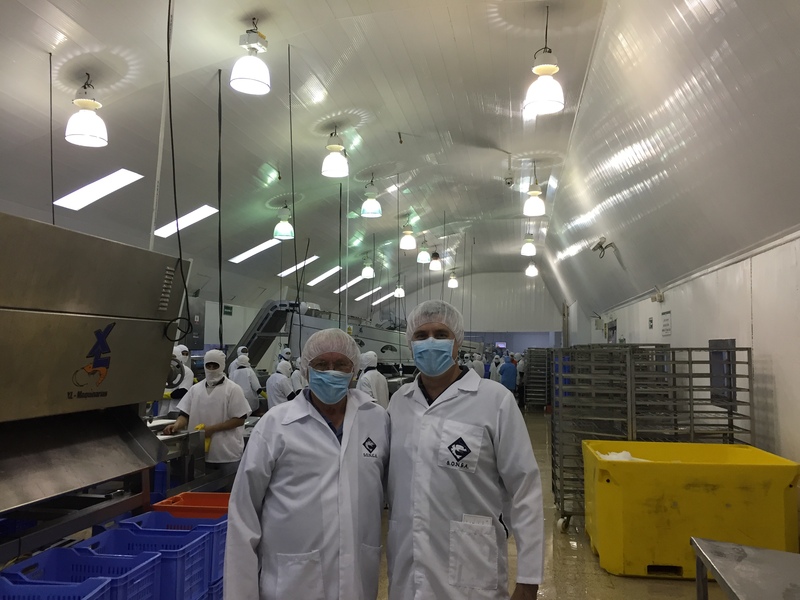 This also included tours to the MERCABARNA and IRTA (wholesale seafood market and Spanish aquaculture research center). 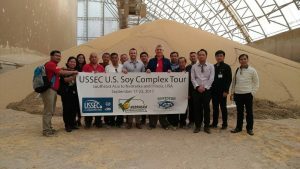 March was a fairly busy month with travel with the USSEC Feedmill Specialist through Thailand, Myanmar, Indonesia and Vietnam. I also was present to give a recognition award on USSEC’s behalf to Dr.Warren Dominy at the VIV Asia show. 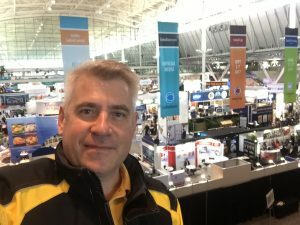 I traveled to the United States to participate in the North American Seafood Show in Boston, and also attended some of the associated conference. Part of my goal was to meet and discuss with seafood buyers to see if any might be interested and willing to come to Southeast Asia to talk to the marine fish industry and “educate” them on what will need to be done if the industry is to target export markets for marine fish. Palawan Aquaculture Corporation (PAC) is a leading grouper production facility located in the clean waters off of Palawan. They have an extensive operation that has hatchery, nursery, production and packing units. The production in particular is of interest as it is offshore and well-managed. The hatchery produces mouse/humpback/panther (Cromileptes altivelis) grouper and red coral trout (Plectropomus leopardus). We met with the technical staff to discuss improved hatchery operation approaches and other technical issues. USSEC has a global program of technical servicing and research in the aquaculture field. 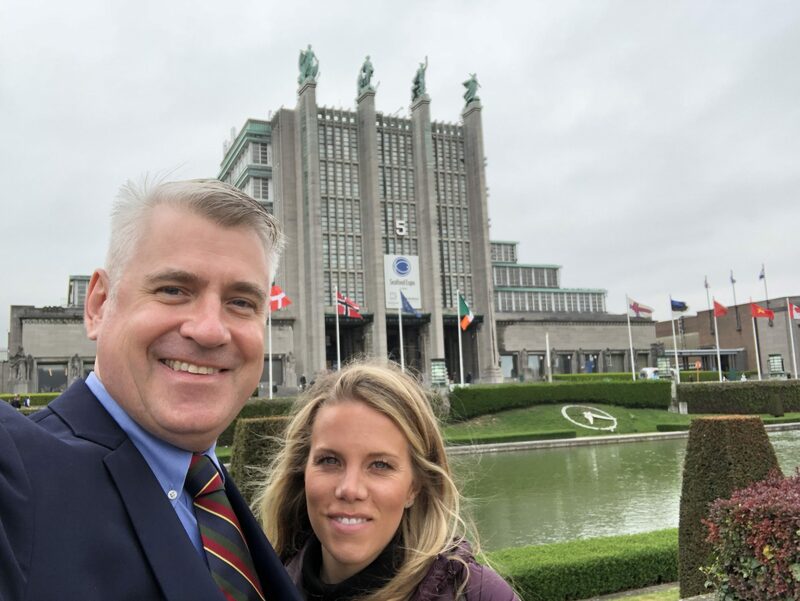 This was a meeting that allowed us to meet with our key funding agencies, research associates and global technical staff to discuss the overall status of the aquaculture industry and learn what research has discovered to help that industry move to a feed-based one. We also had a chance to travel to the Regal Springs tilapia operations nearby. We regularly conduct demonstration projects to directly show the benefits of using better, feed-based technologies. 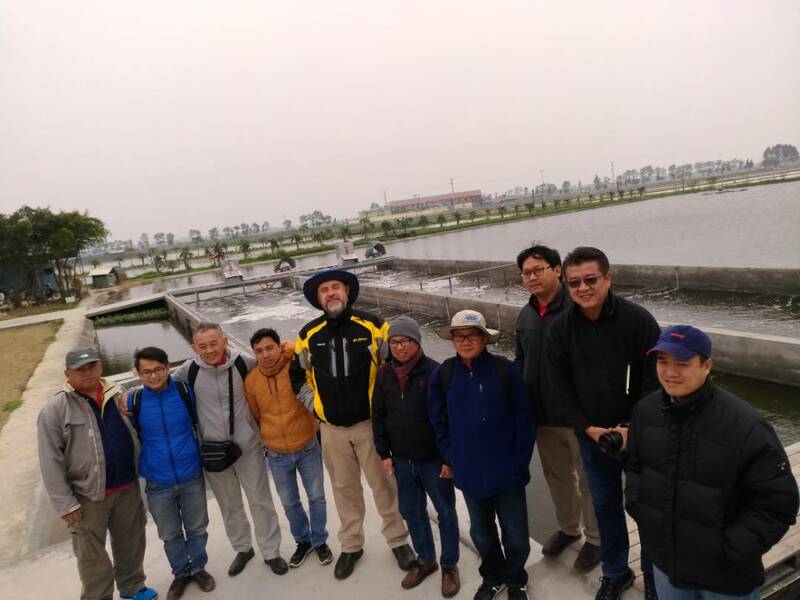 In this case we were visiting an Asian sea bass (Lates calcarifer) production area in Thai Binh Province in northern Vietnam that uses ponds for production of marine fish. When we first came to this area, farmers were exclusively using so-called “trashfish” to feed their production fish. We were able to convert the industry to a formulated feed based approach, at least for the first half of production to 400g size. 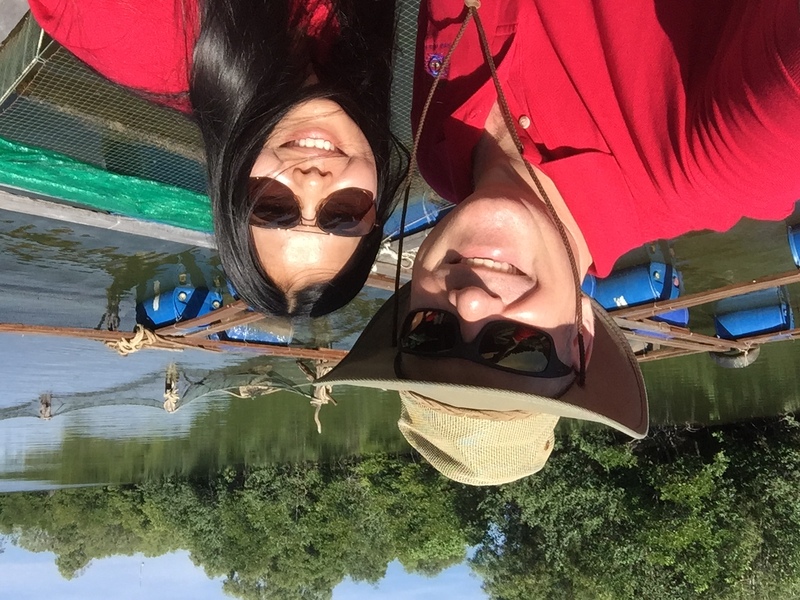 We also visited snakehead (Channa striata) operations in An Giang, southern Vietnam in preparation to bring a group from India to show them how feeds can be used to produce this high value species. 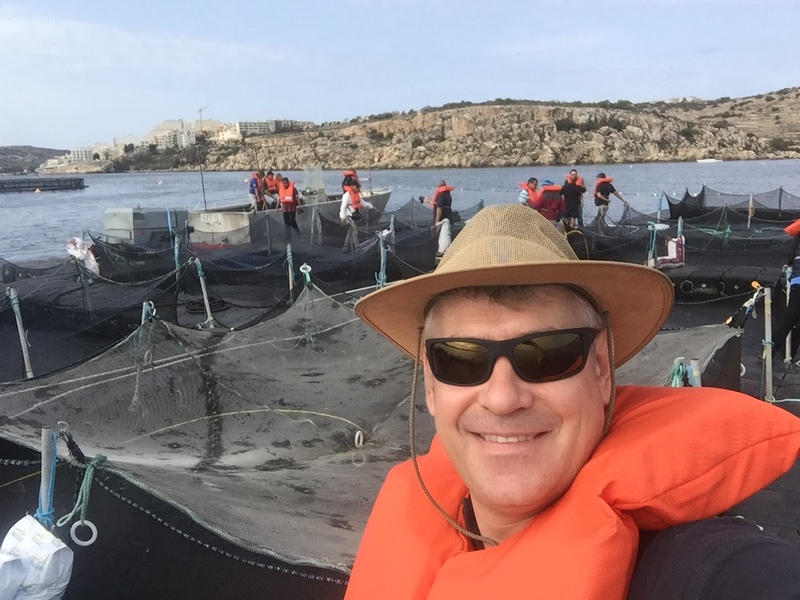 As part of our FY16 activities we plan to conduct a demonstration using an offshore cage site and US soybean protein concentrate optimized, extruded sinking feed for Asian sea bass. The likely target of this will be the MarineLife Aquaculture offshore site in Singapore for several reasons, including a long collaboration to date, good quality fish fingerlings and attention to detail. It will also be convenient to visit as the USSEC SEA regional office is located in Singapore. The target species will be for finger threadfin (Eleutheronema tetradactylum) in offshore, circular HDPE cages using a USSEC formulated feed. I also met with representatives of ABILINDO, the Indonesian marine aquaculture organization and GPMT, the Indonesian Feedmill Association, to discuss what USSEC has been doing in the past 13 years specific to Southeast Asian and Indonesian aquaculture. We hope to work much more closely with both organizations in future. The primary client of SCA is the USSEC, and I lead the regional Southeast Asian team for USSEC. We brought together most of the USSEC SEA Aqua Team to Taiwan to conduct a four-day staff training and educational exercise. 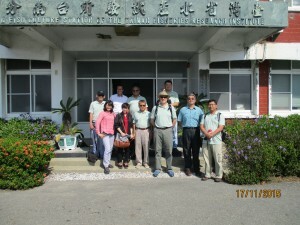 This included presentations from key USSEC SEA staff, meeting with local aquaculture industry people in Taiwan and in particular a personal update from Dr.Dominique Bureau, the lead of the Consortium working with USSEC on maintaining and updating the Asian Aquaculture Feed Formulation Database (AAFFD). Both of these events brought together high level industry people to discuss key issues facing the global aquaculture industry. 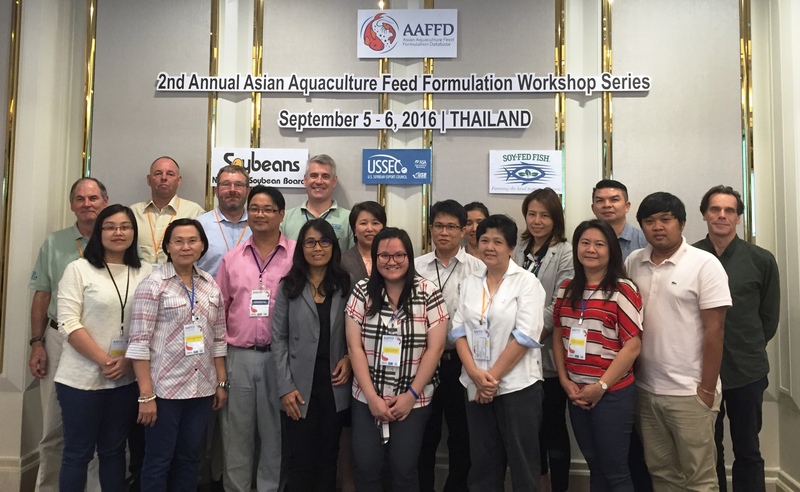 In September 2015 SCA worked with USSEC to launch the Asian Aquaculture Feed Formulation Database (AAFFD) a first-of-its-kind formulation database for aquaculture. 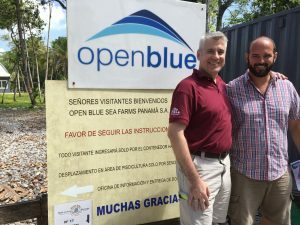 This database was a joint effort of several different organizations, including USSEC, USAID, the Canadian Government, SCA, Veridis Aquatic Technologies Inc. and several other cooperating organizations and individuals. This consortium of effort has been led by Dr.Dominique Bureau, a noted nutritionist and professor at the University of Guelph. The intent of the AAFFD is to create a baseline formulation database for the aquaculture industry to use a benchmark and training tool. It currently has 22 different aquaculture species group nutritional profiles, 293 standard ingredients in the ingredient database and it has been imported to the Adifo Bestmix feed formulation software platform. It is expected in the near future that the database will undergo significant improvement and that the database will be importable to all major feed formulation software packages. This database is being made available free of charge to industry.